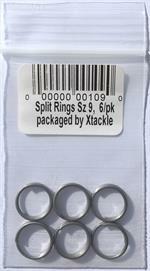 XTackle Trolling Weights and Clips are used when trolling lures or crawler harnesses. where it can easily be removed before netting the fish. Notice about Lead Sinkers: The sale of this item may be restricted from California, Maine, New Hampshire, Massachusetts, Vermont, or New York. Even though you are able to checkout with this item, it will be removed from your order if shipping to a restricted location.